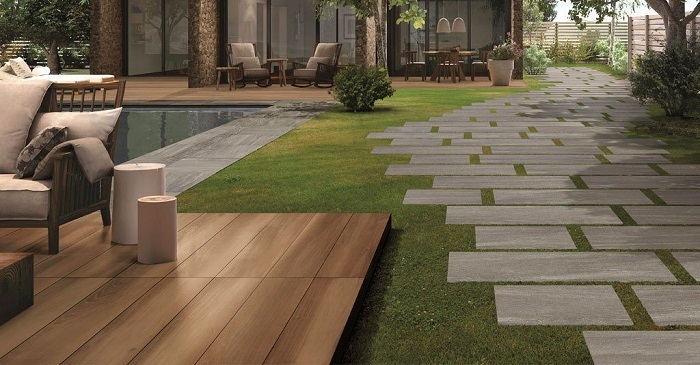 Outdoor Paving Dilemma: Porcelain or Natural Stone Tiles? Being part of the technology driven world of today, it’s easy to come across sources of information, and inspiration for that matter, on how to freshen up things with the home, interior and exterior wise, be it in the form of blogs, or videos. Speaking of the exterior, it’s become common knowledge that the curb appeal adds to the value of a home, and every detail makes part of it, including the paving. While there are many options nowadays, two that particularly stand out are porcelain outdoor paving tiles, and natural stone. This is where the dilemma appears when it comes to making the choice of the two. Before buying, it’s advisable to get to know more about each so you can easily make the decision. The porcelain outdoor paving tiles, for instance, were created using ultra-fine porcelain raw materials, undergoing extremely high temperatures to result in contemporary finish that wows with the durability. The natural stone tiles dazzle with their unique beauty, and the thought most of us have when it’s to do with this option is stone has been around for millennia, it’s naturally resistant to the weather conditions, it’s beautiful, and has been part of home-building for centuries. And then of course, the aspect of eco-friendliness. When you have porcelain made of raw materials that leave out recyclable minimal waste, that also differs from natural stone paving in terms of production as there’s no resulting in toxic gases through flame exposure, you know you’ve got a valuable tiles investment. Besides, even the polishing of natural stone isn’t eco-friendly considering it involves lead. As strong as the stone may seem to be, it’s just in appearance because when it’s the case with porosity, porcelain is the superior material which is practically nonporous as the percentage is only 0.05. This property can further give you a headache with the natural stone, given that moisture and dirt can make its way through the tiles, and to maintain them spotless (almost mission impossible) you’d have to include addition of sealants frequently. 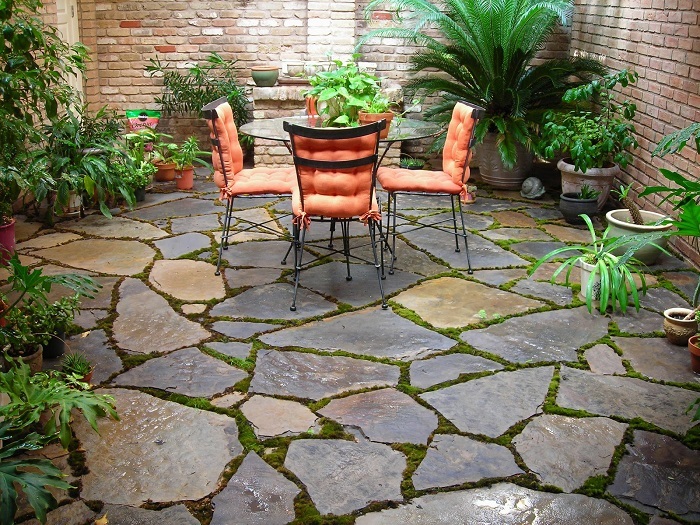 Once stains appear, the stone tiles can’t be cleaned. Speaking of cleaning, you wouldn’t have that difficulty with porcelain tiles because they don’t let water through, and don’t require frequent maintenance. All you have to do to clean them is warm water with soap. There are even those types of porcelain tiles that can be cleaned with pressure washers without the worry of damaging them. Another positive aspect is their colour doesn’t fade, which means they are UV resistant as well. If you weren’t convinced by now on how to solve this dilemma, the installation of porcelain tiles is easy too!